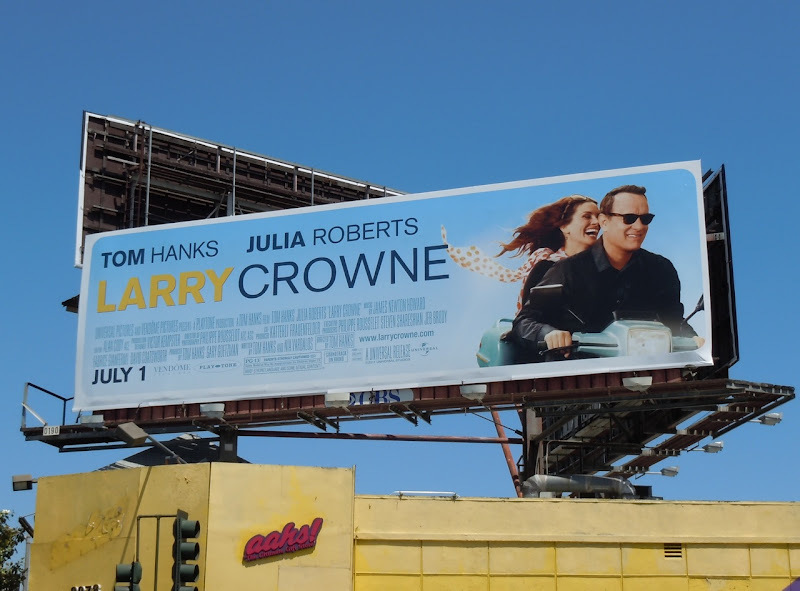 Even though most people are getting ready to enjoy the Summer holidays, it looks like Tom Hanks is returning to school in his new romantic comedy which reunites him with Julia Roberts. 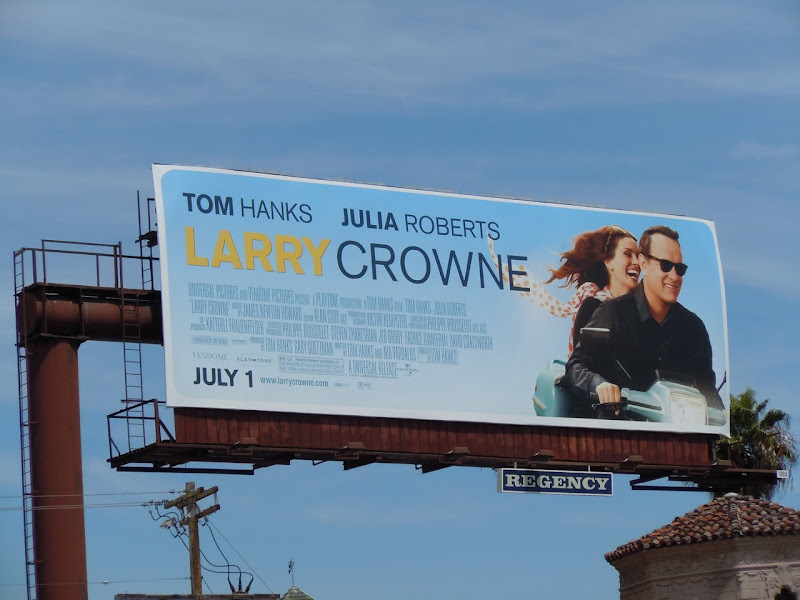 Not content to star in the movie, he's also written and directed Larry Crowne, which is about a middle-age man returning to college to reinvent himself. 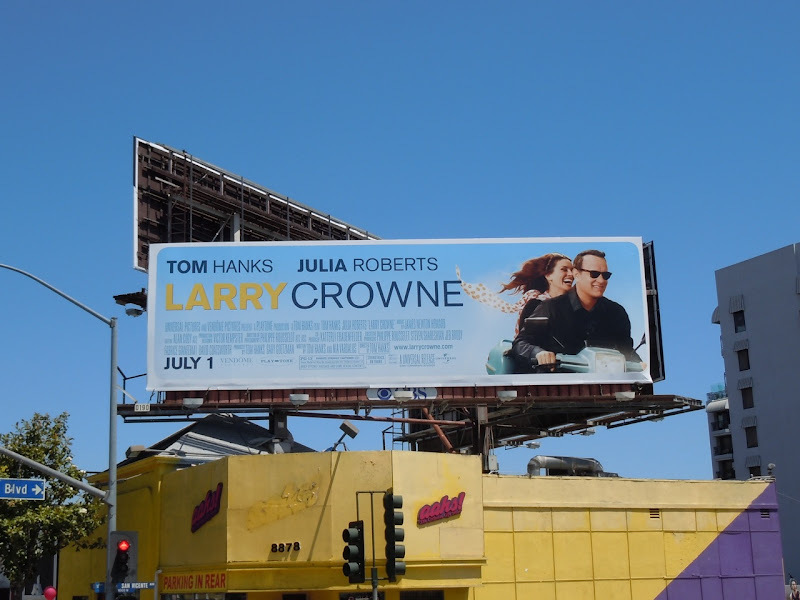 This fun billboard for the movie was snapped along Sunset Boulevard at Crescent Heights Boulevard on June 3 and further west along Sunset at San Vicente Boulevard on June 7, 2011.